Premature hair loss is a very common issue nowadays and it’s starting to affect much younger people, both men and women. It’s usually associated with excessive stress, pregnancy, menopause and weight loss, but there are a number of other factors which can play a role. Your body to reacts to the stressful situations it undergoes and its reaction often manifest through hair loss, which is completely normal, but stress can also cause a hormonal imbalance and lead to excessive hair loss. This problem can lead to self-esteem issues and make you insecure and withdrawn. It can also make you spend thousands on hair products and treatments which often don’t live up to your expectations. What you need to do if you’re faced with this issue is forget about the commercial hair care products and turn to nature. It has the cure for nearly all diseases and medical conditions and can help you with hair loss as well. 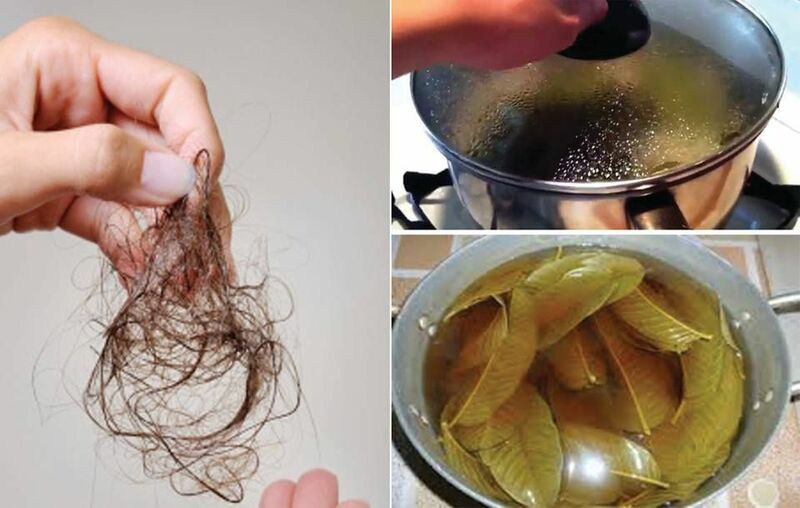 The best natural remedies for hair loss are guava leaves. They effectively stop hair loss and stimulate new hair growth. Guava leaves are rich in vitamin B which is essential for healthy and fast growing hair. They not only encourage hair growth but can also strengthen the hair follicles and roots. Pour one liter of water in a pot and add a handful of guava leaves. Turn the heat up and wait until the mixture starts to boil. Let it simmer on low heat for about 20 minutes. Afterwards, set the mixture aside and let it cool down so you can use it. Massage your scalp with the mixture and leave it on for a few hours before washing it off. It can even be more effective if you do this before you go to bed and leave it on during the night. Cover your hair with a shower cap so that you don’t wet the pillows and wash it up in the morning.